So what makes you LOVE a company? Great services? Great product? Cost of product or services? What about customer service? Well it probably is a combination of all the things that I have mentioned and even more. One thing that is so important to me is customer appreciation. I like it when a company wins me as a customer, but then doesn’t forget about me. As an existing customer, I want to be focused on as much as the new customers that the company is trying to win over. 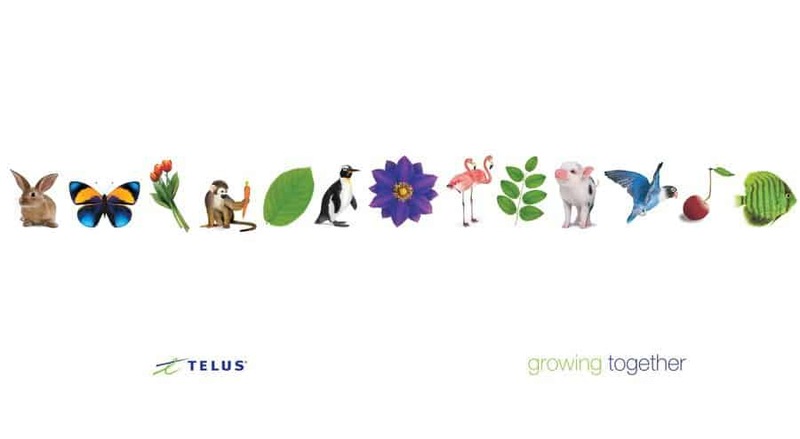 MomMomOnTheGo is a TELUS customer. Why am I a TELUS customer? I love their services. The cost of their services has proven to be the best for us. The level of their services has also proven to provide more for us than other companies. I also feel important to TELUS. When I need to communicate with TELUS, I feel that the energy that their team is dedicating to me as an existing customer is awesome and just as much as I received when they were trying to win me over as a customer. I simply don’t feel forgotten now that I have signed up on the dotted line. TELUS has a history of making sure that they are looking after their customers. Whether it has been free cab rides, free phone calls or more….they know how to make you say; WOW, TELUS remembers me as an existing customer. TELUS has outdone themselves again with recognizing their existing customers with their newest initiative Grand Gestures also referred to as #ActsOfCaring on Social Media. I have to admit that I really felt Ramona’s excitement in the video and had my eyes welling with happy tears. It is so exciting to have a life long dream come true, especially one that you really think will never happen. I think we all have a dream like this. What would your TELUS Grand Gesture video feature you doing? What is your dream? of this, we’re donating $5 to the Guelph Children’s Foundation for every use of #actsofcaring. o We’re going door to door to the homes of our top 100 customers to thank them personally with a care package – a small token of our appreciation. o We’re hosting a free BBQ lunch for our top 1000 customers and their families at the local TELUS store. We’ll be presenting a cheque to the Guelph Children’s Foundation in the amount of $5000 – in response to all the uses of #actsofcaring. Donald Woodley (member of TELUS Board of Directors) will join our celebration to present the cheque. Show your support for TELUS by sharing their Grand Gestures video and the excitement that Ramona got to experience. Make sure to use the hashtag #ActsOfCaring. I want to say a big thank you to TELUS for all that they are and all that they do. MomMomOnTheGo loves TELUS and they have my support. Disclosure: I am part of the TELUS Grand Gestures Campaign and I receive special perks as part of my affiliation with this campaign. The opinions on this blog are my own.